"You made the Earth move under my feet." It's something you say to someone else for really getting you or doing something great. For the Grave Golem, it could just be that part of the soil has come alive and looking to drag you down. I guess that does make digging graves easier. 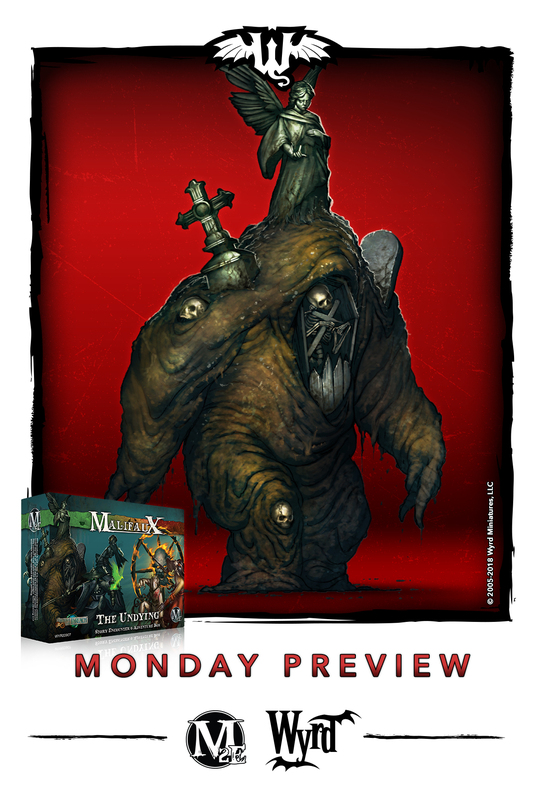 The Grave Golem is today's Wyrd Preview. The Grave Golem is, essentially, a large chunk of graveyard that has been animated by the Resurrectionists to serve as a heavy enforcer. During battle, a Grave Golem can sink into the earth and reappear a few moments later halfway across the battlefield, provided that there is a corpse for the golem to form around. That something so large could move so quickly often comes as a surprise to the golem's enemies, many of whom end up either battered to death by its massive Tombstone Fists or buried in a landslide of corrupted earth and grasping skeletal arms.